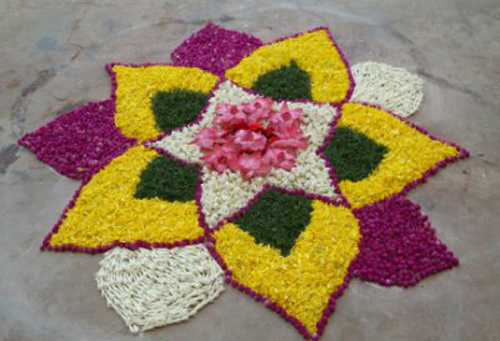 Rangoli designs look great on any occasion but sometimes we may not have the time needed to do them. So what’s the solution? 1. 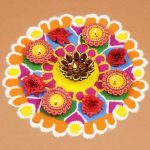 This small yet beautiful rangoli is perfect for any religious and auspicious function. We just love how simple it is to do this. The ‘Om’ sign in the middle looks great due to the contrasting background of yellow. 2. 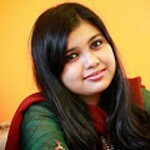 This small colourful design looks very pretty for both religious and casual occasions. The beautiful array of colours used to recreate it makes it look unique. The colours make it so apt for holi. The diyas make it even more beautiful. 3. 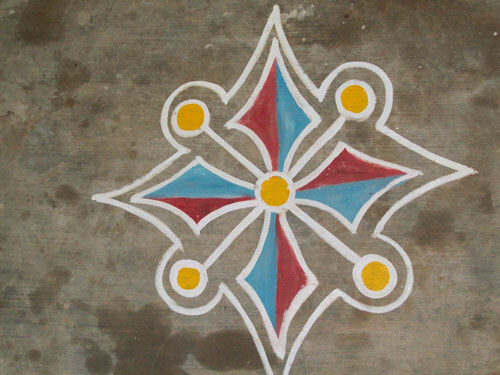 This small rangoli can be done in even the smallest of places and needs very less experience to do. The colors look beautiful. The design has small details but they do not need to be perfect. We love the simple floral pattern and the bright colors . 4. This awesome design is for those who have a bit of practice with the art. There are a lot of colors used in this design. There is a bit of shading in the design too. But this design too can be done at any area of the house and will take less time than the extravagant designs you see everyday. 5. 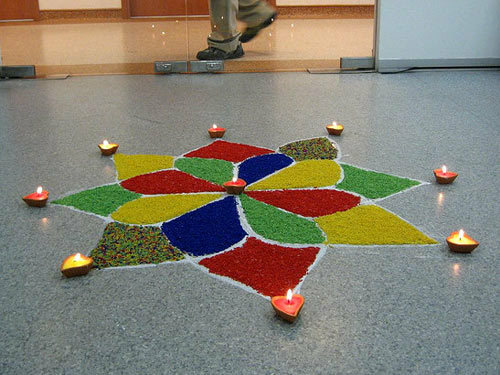 This bright colored rangoli makes it quite a beautiful one of the small rangoli patterns that are simple and floral to do any day . the colors attract the onlooker. The design is a simple floral pattern and needs very less skills to achieve. 7. 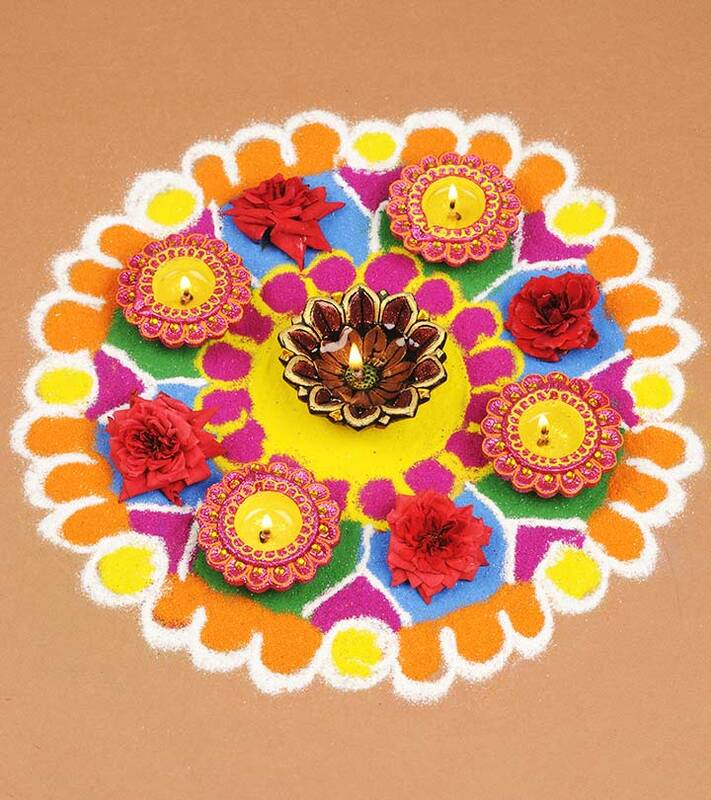 This bright rangoli looksquite attention seeking with the bright shades of yellow green orange. 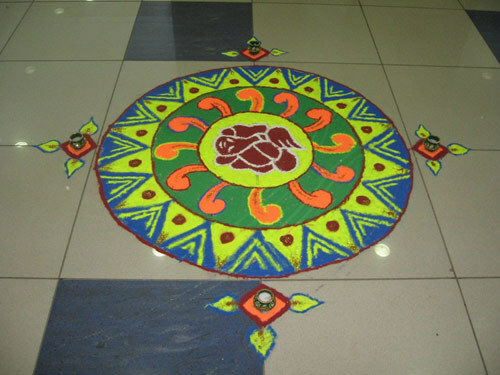 The design is a simple Round rangoli but does have a lot of details in it. But this design is fit for any occasions . 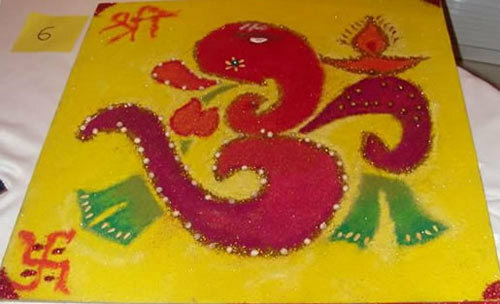 The main attraction is the Ganesha design in the middle and the diyas used to decorate it. 8. 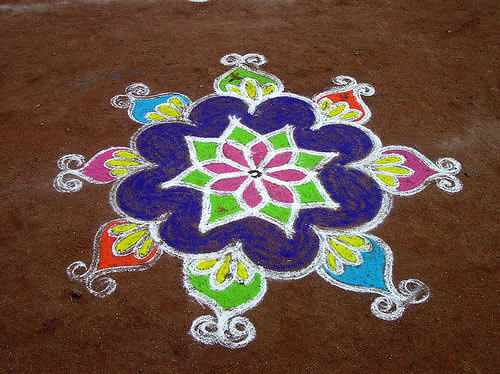 This one is a very simple choice of the rangoli designs small with not much of intricate details. 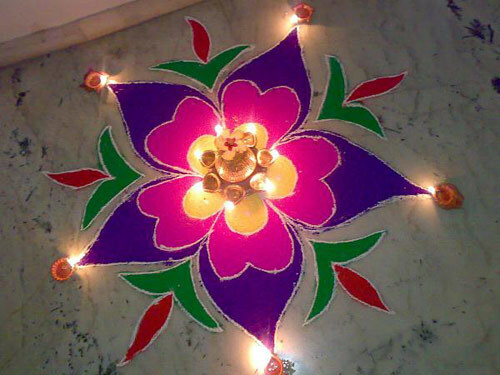 We love the diya used to give it a bright effect. The colors used are quite bright and contrasting with pink and violet being the main colors. This design can be done on even the smallest of spaces. 9. 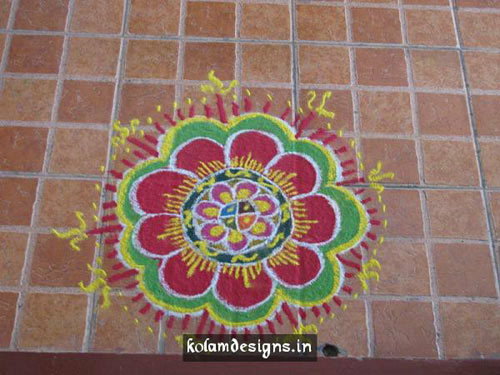 This small rangoli kolam is a bit complex than the rest and the colours used are quite contrasting and bright. 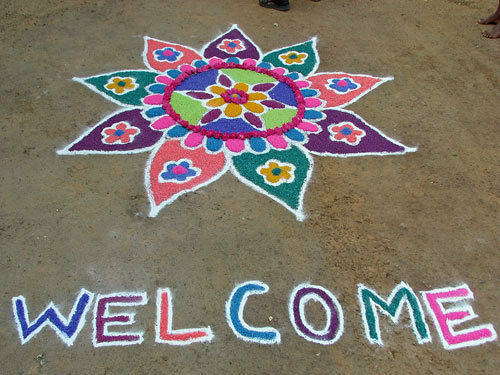 The bright blue, green, sky blue, orange and white bordering gives a good definition to the rangoli. 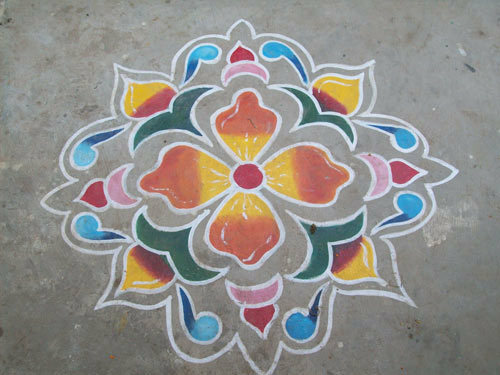 This rangoli looks pretty for Holi as well as Diwali. So which one are you trying to do first?